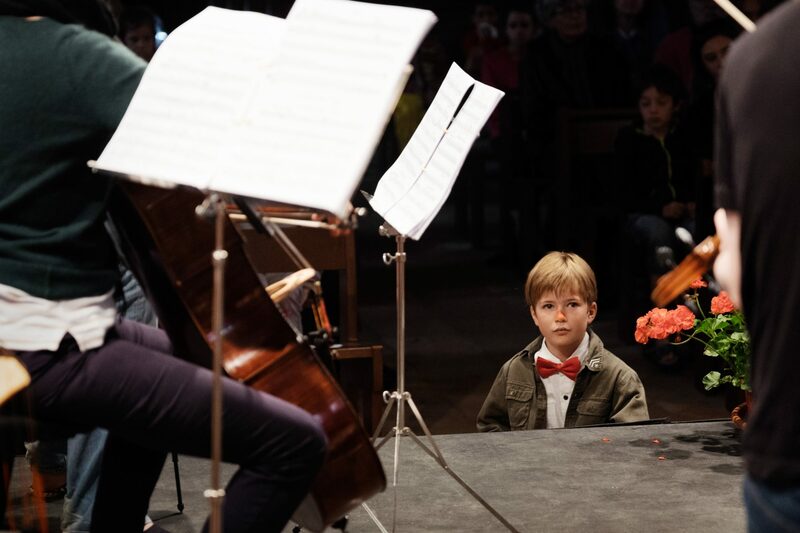 As part of its continued commitment to young people and to music education in the Charente, the Festival offers a range of concerts, open rehearsals, education projects and opportunities to meet and interact with the musicians. FIMCEC is the only major Charentais cultural event offering FREE entry to all young people under the age of 18, all students and all unemployed. This policy applies to ALL concerts, receptions and portes ouvertes, not just to educational events. Immersion day shadowing FIMCEC musicians. Free entry for children and for an adult accompanied by a child! As part of the FIMCEC 10th anniversary celebrations, the string orchestras of the Ècole Départementale de Musique de la Charente and the Conservatoires of Barbezieux & Grand Cognac join together to study & present a programme of British music. 11.00 TEA TIME PROJECT CONCERT given by students of the École Départementale de Musique de la Charente and the Conservatoires of Barbezieux & Grand Cognac.